Raw meal, desulfurization powder, gesso, weathered metal ore, non-metallic minerals and sinter, and etc. non inflammable and explosive materials whose Mohs hardness is below 4, density is blow 4.6, compressive strength is blow 170Mpa. Coal powder which is used in thermal power, steel mill and coal powder injection boiler. Slag, flyash, bauxite, metal ore, weathered quartz, feldspar, granite and etc. non inflammable and explosive materials whose Mohs hardness ranges from 4 to 6, density is blow 4.6, compressive strength ranges from 170Mpa to 240Mpa. Grinding roller squashes materials on the millstone directly, which can reduce 30 or 40 percent of energy consumption. Grinding roller doesn’t contact with millstone, so the service life will be longer. 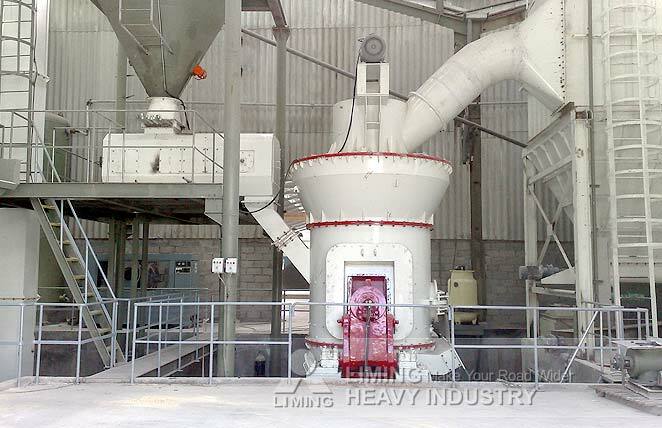 Hot wind from outside will contact with powdery materials in the grinding mill directly. It can save a dryer because of high drying efficiency. Besides, it can meet requirements of materials with different humidity by adjusting the temperature of hot wind. Because of the short time materials staying in the grinding mill, it is easy to check and control the output size and chemical composition in order to reduce repetitive milling and stabilize product quality. There is slight shock and low noise. Hermetically-sealed structure makes no powder flow away when the machine works under negative pressure. It meets environmental protection requirements very well. 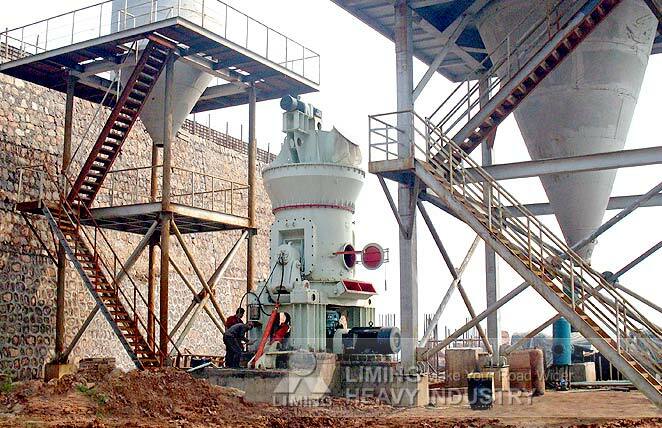 Main motor drives millstone to turn by reducer, meanwhile hot wind will go into grinding mill from the air inlet. 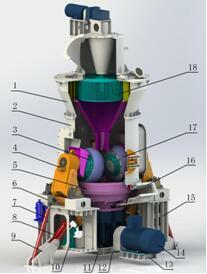 Materials will drop on the center of millstone from feed opening, and they move to edge because of centrifugal force. When going through roller area, big materials will be squashed by grinding roller, and fine powder after squeezed will finish interparticle comminution by forming solid bed. Materials going to millstone edge won’t be taken away by air blast until they are enough fine. 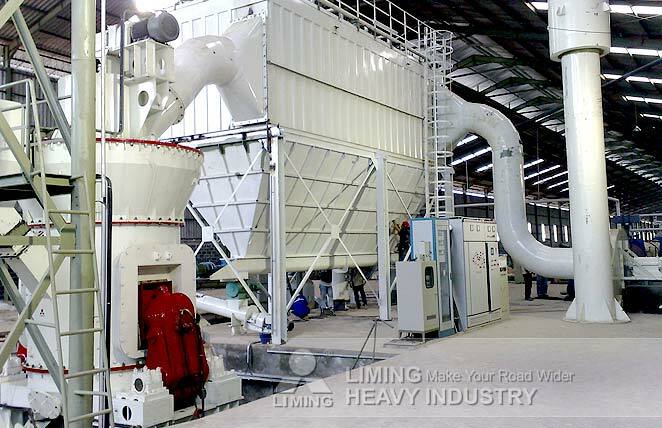 The fine powder going out of grinding mill will be collected and they are final products exactly.